After the Halloween artwork I did I was itching to do some other dark, horror-related art as an X-Mas present to my RevPub Partner since the previous one turned out so well. I originally thought Ghostbusters but after some thinking I decided to do a piece of Beetlejuice and Lydia. I was still starting with pencil but I was encouraged by the basic premise. After some thinking I decided I wanted to show his icky teeth so I gave him an open mouth smile. This was the first time I added real color to the image. I liked how it turned out and this was a great first color project as if it looked a bit ragged it was ok on the Ghost with the most. I was really happy with the finished product. Now I had to figure out what I was going to do with the other pic I decided to do to match it, Lydia! Happy New Year! We’re excited to kick off our fourth year with this site and want to thank all of you for reading! Before we dig into to 2016, I wanted to share a project from this season. In November, my RevPub partner was having trouble finding ornaments for his tree. You see, traditional ornaments weren’t going to cut it. He wanted a set of something cool. Think unique, a little geeky, and not ridiculously priced. One of our favorite shows. Psych’s pineapple is an iconic image to all fans, and I added some quick snowflakes that look like its holiday marketing. This was the one I wanted to keep lol. H.P. Lovecraft’s monster Cthulhu from The Call of Cthulhu. James is a big Lovecraft fan, and I was terrified to do this one. There are about 1,000 images of this creature, so I went simple. Warhammer 40K Ork glyph. James loves his orks dirty, so that’s what I tried for the ork ornament. I do not claim to know how to draw portraits, so I used a little shading. This was one of the more difficult ones. Again, I can’t draw, but I was happy with it. You can tell it’s a cat lol. From the X-men arcade game. X-men, welcome to die! James and I actually played this game, and it’s one of my favorite Angry Video Game Nerd play-throughs. Seeing this always makes him laugh! Who you gonna call? One of his favorite movies and the iconic image. I had a lot of people love this one! This was one of the last ones I did because it was going so well, I was afraid to finish it. Is this a hadouken?! were the best words I’ve ever heard. From Street Fighter and one of his favorite things to say while playing the game. This was such a pain. The design changed five times, and I almost scrapped it. Overall, I was happy with the final, and he knew what it was. That is all that matters. Bill Murray says this to his board members after watching the terrible promo. 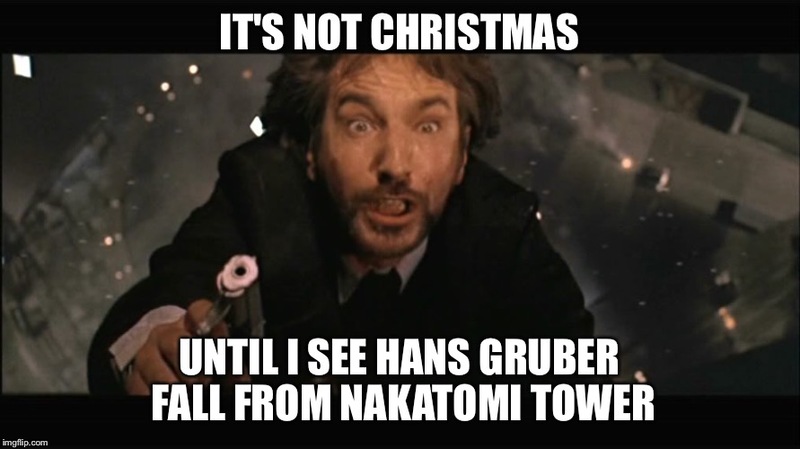 This movie is usually our Christmas movie tradition, and this one line says it all. This project was a ton of fun and challenged my painting skills to the max. It also led to a few other ideas and possibly future gifts. I had never painted in this detail and want to thank Google images for helping me through it. Here’s to trying new things in 2016: Don’t be afraid; it usually works out! I seldom steal ideas from my partner, but I found my RevPub partner’s X-mas Family Traditions post quite inspiring. Traditions – old and new – are a part of any holiday, but I’m also a fan of changing them. I think this is where people struggle the most because when “we’ve always done it” causes issues, it may be hard to let go. I also have to write a shout-out to my family: Thank you for the flexibility and drama-free holidays. I know this isn’t always the case, and I appreciate you for it. My grandma’s tree 2015. This changes nearly every year, and it’s always gorgeous. Story time: I owe my grandmother a great deal, and she is solely responsible for the love I have for Dr. Seuss’ How the Grinch Stole Christmas. Every year, and multiple times throughout the year, she would read us this book. She used inflections and brought the story alive. Even as an adult when I read it, I feel like I’m in Whoville. Or, depending on my mood I’m the Grinch! When I grew up, my son loved Santa more than anything. So, every Christmas Eve I read ‘Twas the Night Before Christmas. I make sure to bring the same excitement and passion to the story as my grandma did for me. Christmas Movies: This is a personal tradition. Just as I watch only horror in October, I try to watch only Christmas in December. What makes a Christmas movie? Well, I count anything with snow and if they mention Christmas. This may seem unconventional, but it keeps things entertaining and avoids lame ones with bad acting. As my partner states, we watch Scrooged, and we have seen a number others together. 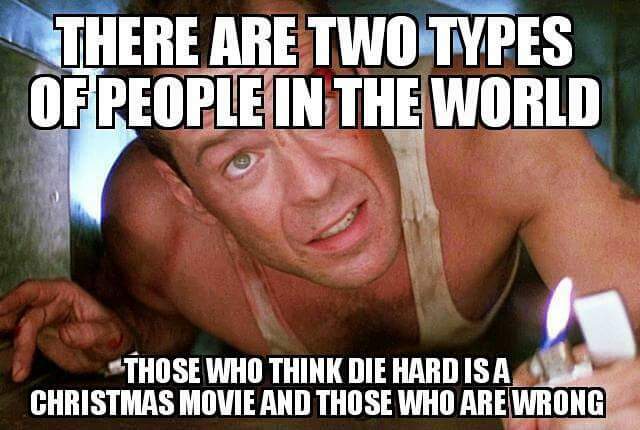 As a kid, Home Alone, The Nightmare Before Christmas and The Grinch were some of our favorites. Looking back, this may have been the best way to shut us up for two hours. The Food: I come from a family of cooks. 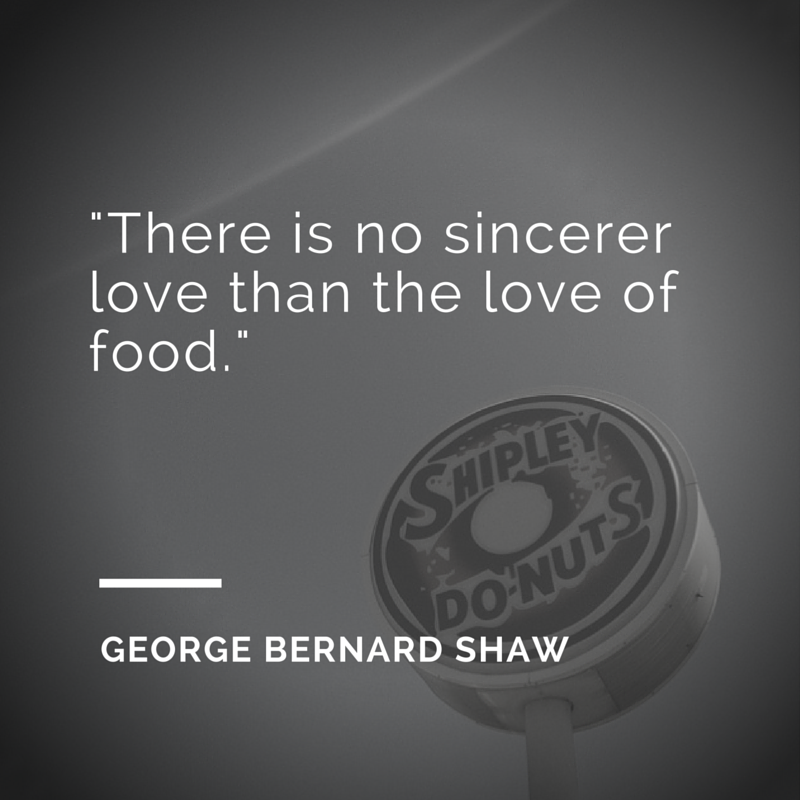 Nearly everyone in my family tries to cook, and some are better than others (wink). While we have traditional foods, such as ham and grandma’s sherbet punch, I also remember my grandpa’s fudge and candy-coated Ritzs and the spread of more food than you can imagine. My family tries new recipes all the time, so our traditional menu constantly changes. It’s tradition for us to try new dishes! This also leads to staples. My uncle has to bring sausage dip. I have to bring deviled eggs. That is a funny story in itself because I was asked to bring them one year and have been designated to bring them to every event since. This year, I used hot and sweet jalapenos because I was out of relish, and they went over a little too well. Opening presents at my grandparents’ house. I was 9 to 11 in this. I believe the pen marks are from my brother. The Celebrations: I come from a “nontraditional” family, as my parents divorced when I was a kid. I had a lot of Christmases, but my favorites were Santa in the morning, then going to my grandparents. When I was younger, we’d always gather on Christmas Day after seeing what Santa brought. As our families grew, we celebrate on the Sunday before Christmas. I appreciate this more than my family knows. This allows for new traditions on Christmas Day and gives parents more time with their kids. I’m pretty anti-travel on Christmas Day and try to stay home when possible. This doesn’t always go over well, but people get over things pretty quickly, so don’t be afraid to say no. As long as you visit around Christmas, that’s all that should matter. Presents: I remember the first time I went to someone else’s Christmas, and they opened presents one at a time. I thought I was going to die from boredom – no offense intended. I also thought how terrible it would be if you got something you didn’t want. You’re sitting there in front of 10-plus people and have to fake happiness. I immediately felt pressure. You see, my family opens presents at the same time. A couple of people pass out all the gifts, and my grandma essentially says, ready, set, go! It takes 10 minutes tops. We shout thank yous from across the room, hold up gifts to show someone who also likes it, and it’s chaotic. That tradition has never changed, and it’s awesome. Afterwards when all the wrappings are picked up, people walk around and see what everyone received and have conversations about them. In a way, it’s more personal and allows time to talk one-on-one. I realize most families open one at a time, but consider trying this sometime. It’s 10 minutes of chaos, then an hour of real conversation. We hope you had a nice holiday, and we look forward to 2016! Happy Holidays and a very Happy New Year from RevPub! Framily Traditions: Of course the modern family extends well beyond relatives. My RevPub partner and I have a number of annual traditions we do to celebrate the holidays. There’s the annual shopping day, which once would often start at 8 in the morning and end around 8 at night and the annual viewing of Scrooged. All of my friends also typically do individual Xmas exchanges as well. Just stopping by around the holidays to see what weird random stuff we found we thought we’d all like. We here at RevPub wish everyone a happy holiday season and we hope you enjoy all of your family holiday traditions. You never know, one may end up as a storyline on a sitcom one day!